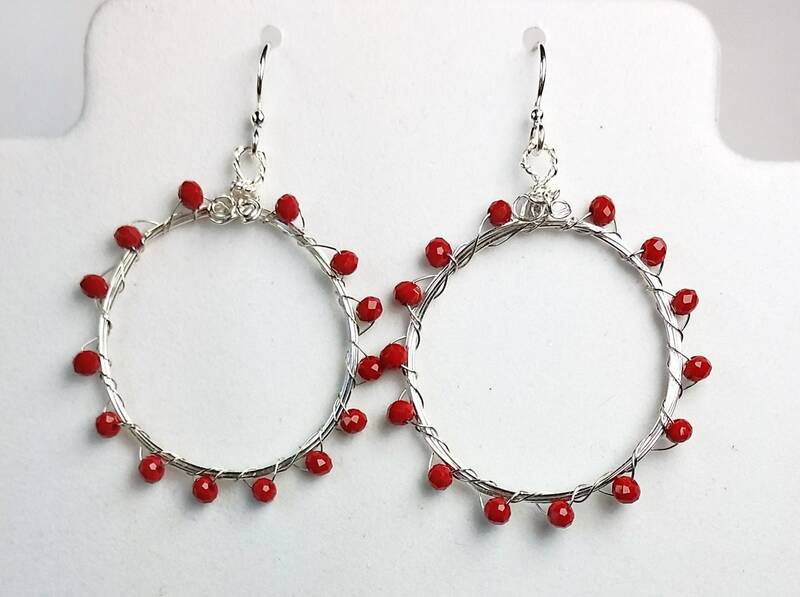 Ruby red fire polished rondelle crystals (approx. 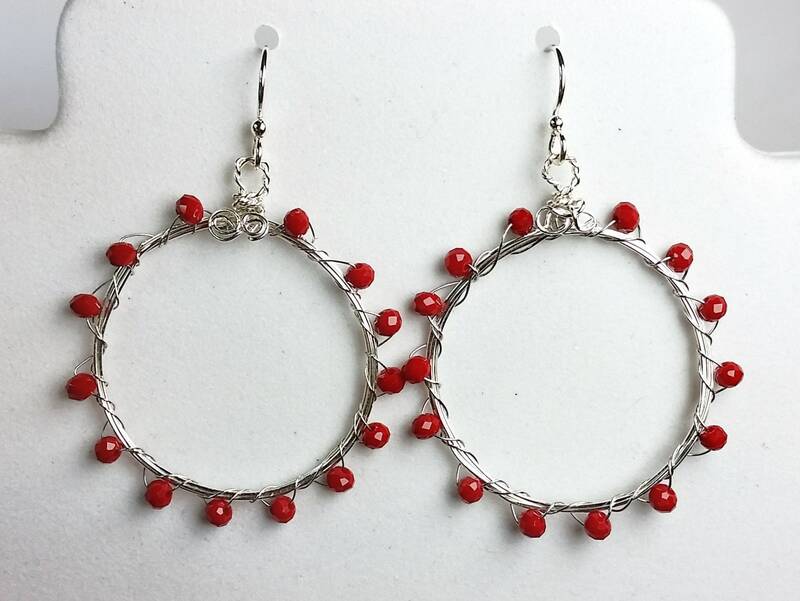 3mm) are woven onto handmade hoops of tarnish resistant silver wire. 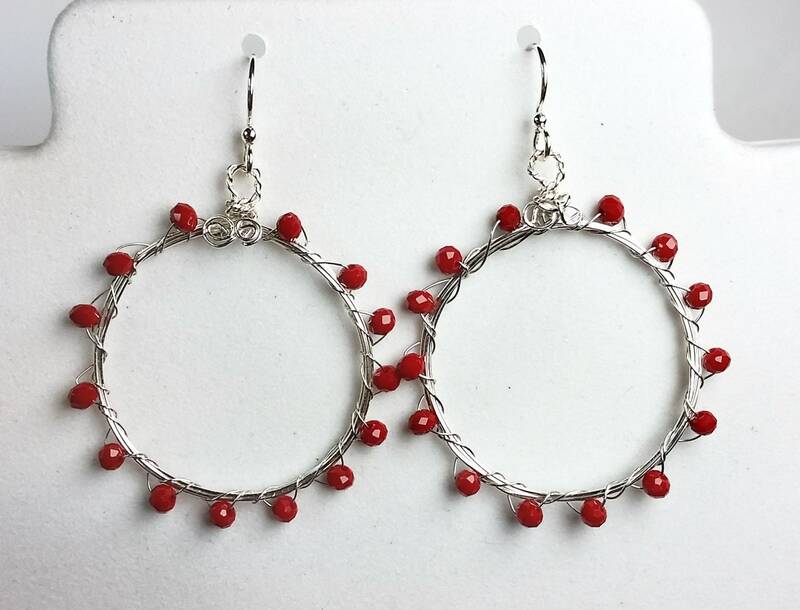 The hoops are approx. 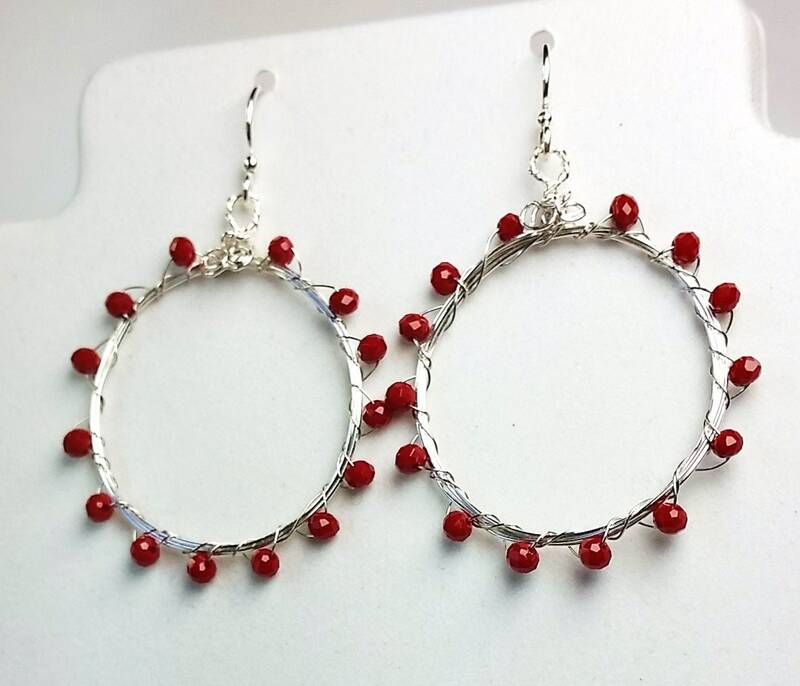 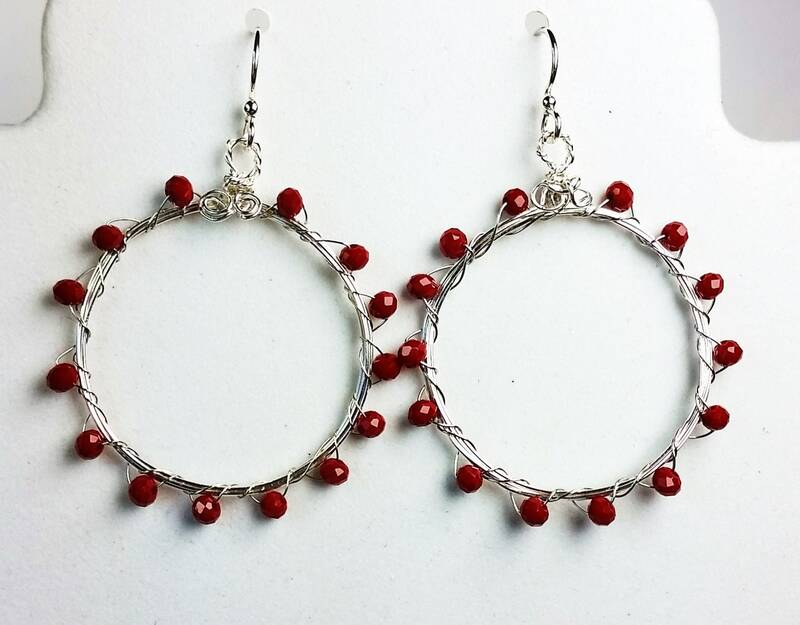 1.3 inches in diameter and they dangle from sterling silver ear wire.